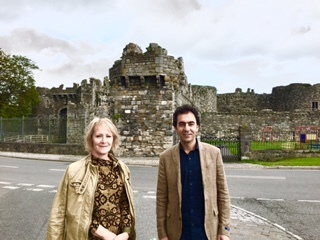 Ciwanmerd Kulek spent time in Wales working with translator from Turkish Caroline Stockford translating some of the Mabinogi legends into Kirmanji and editing a self-transited text of his novella. The residency is a second one we are co-organising with PEN Cymru following a residency with Salih Agir Qoseri in March 2017. The two residencies were supported by Arts Council Wales, Wales PEN Cymru, PEN International and Creative Europe Programme of the European Union.